Maggie Gómez has dedicated nearly a decade to grassroots community organizing with women and communities of color to build deep power for collective action. 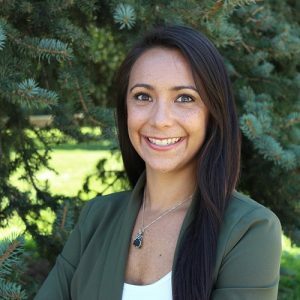 She earned a master’s in social work from the University of Denver and is passionate about organizing for women’s, workers’, immigrant, economic, and racial justice. At Center for Health Progress, Maggie brings her significant experience in organizing, voter engagement, and leadership development to incorporate grassroots community members into the fabric of our work. Maggie served the community as a founding member and Board Chair for the Colorado People’s Alliance, and is currently a commissioner on the Colorado Health Equity Commission, a member of the Prime Health Safety Net Advisory Board, a trainer for the Labor Liberation program with Colorado Jobs with Justice, and has experience writing and facilitating popular education curriculum for social justice. See what Maggie has to say in her blog posts.